What we do as lawyers can be life affirming, helping our clients, and potentially shaping society for the public good. A career as a lawyer is an extraordinary calling, and to be a lawyer in the legal profession is a privilege. Nevertheless, the profession of law today is more challenging today than ever before. The legal profession in Canada, the U.S., the UK, Australia, and the western world is in a period of major change. Once insulated, law has become one of the most competitive markets in the new normal. Lawyers and traditional law firms are no longer perceived as ‘one-stop’ trusted advisors to clients, business or government. Today’s traditional law firms and BigLaw face challenges of unprecedented scale and complexity. As identified by the Canadian Bar Association’s Legal Futures Initiative, the combined forces of globalization, technology, and market liberalization are creating new services, new delivery mechanisms, and new forms of competition. Those changes are altering client needs and expanding client expectations. Clients want services to be quicker, cheaper, and smarter. They want more transparency and involvement, and they want to be and stay connected. The key to establishing a viable, competitive, and relevant legal profession is innovation and leadership— not just the development and adoption of technology-driven platforms and service delivery models, although they are critical, but also through new ideas about how lawyers are educated and trained, and how they are regulated to maintain professional standards while protecting the public. Competitive innovative law firms and NewLaw are embracing lean and design processes, appropriate technology, outsourcing, and alternative value based billing models as a way to meet the needs of cost-conscious clients, maximize value, disrupt the business relationships of traditional law firms, and foster new long-term relationships for themselves. In addition, traditional law firms also face two other new and different business model competitors: corporate legal departments, which continue to expand dramatically as more work of increasing complexity is brought in-house; and the Big Four ‘accounting firms’ (outside of the U.S.). However knowledgeable a lawyer may be in the “law”, clients will not continue to work with lawyers with antiquated processes and technology. Since the 2008 downturn of the world’s economy, the traditional relationship between lawyers and their clients has shifted – “legal services have been demystified, and legal service consumers are more knowledgeable, sophisticated and connected”. 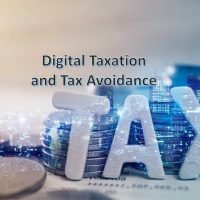 Clients want value and solutions for the legal services they pay for, and quite rightly are questioning the ‘value received’, ‘billing model’ and ‘size of their legal bills’ as provided by traditional legal firms. The ‘more for less’ challenge requires that to be successful going forward, legal service providers must deliver appropriate legal services for lower cost – and to do so, they must be competitive, efficient and innovative in respect to appropriate processes, technology, and delivery model. The emergence of a competitive and innovative legal services marketplace is forcing the legal profession in Canada and the U.S. to come to terms with the reality that the traditional law firm – the guild model of designing and delivering monopoly protected services under the rubric of “the practice of law” – may no longer be an acceptable response to clients demanding alternative legal providers who are innovative, competitive, and cost effective. The lawyer / law firm monopolies are fading – the real question for Canada and the U.S. is not “whether” the rules governing the legal profession will continue to be liberalized, but “how”. The purpose of the law is not to keep lawyers employed. Rather, lawyers should survive in this changing environment because they bring value that no one else can – not because other providers are regulated out of the market. 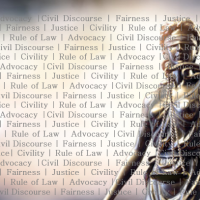 The traditional bespoke “artisan” model of lawyering – legal work provided in a highly personalized or customized manner in respect to complex social, economic and political matters – is being replaced by commoditized legal work, and corporate and individual client’s relentless pressure toward “more for less” will intensify this trend. Law firms will continue to face mounting pressure from clients to deliver more efficient services at lower cost. At the same time, they must compete with legal service providers who operate under alternative business models. These providers can leverage improved processes and appropriate new technologies to create efficiencies and drive down overhead costs, which they generally then pass on to consumers. This enables the alternative legal service providers to side step the traditional law firm and directly serve corporate consumers who perceive traditional legal services to be overvalued, and for cost reasons, individual consumers who were previously underserved or unserved by the legal profession. To respond, law firms will have to go beyond simply cutting costs through processes and technology, while continuing to preserve the traditional way they win work, produce work, charge for work, and govern themselves. To be successful long term, law firms need to adopt a strategic cross-disciplinary leadership approach that is better adapted to serve their clients not just today, but well into the future. To succeed under the changed circumstances, law firms need to remake their business models in accord with the needs of their clients. Increasingly, in the commercial context, lawyers are not the straw that stirs the drink. They are but one feature in a broader supply chain and as solutions become mostly technology or process driven, the best outcomes are going to be achieved by cross-disciplinary approaches. General Counsel have stated that “simply hiring the right law firm is no longer a tenable strategy when reporting to the C-suite and boards of directors.” General Counsel for large organizations, Chief Legal Officers and managers within small- to medium-sized businesses, and individuals are increasingly demanding more efficient legal services that deliver value for lower cost. Instead of developing long-standing relationships with clients and their range of problems, the modern lawyer is often seen as an increasingly isolated expert specialist. 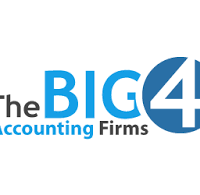 In contrast, outside of the U.S., the Big Four “accountant firms” have managed to reinvent themselves as “globally integrated business solution advisors” (where an important component of the business solution that they offer is law). They are beginning to be looked upon as more than “just the scorers” — they are recognised as multidisciplinary business advisers, who are experts in business methodology such as process management, unbundling of legal services and commoditization, outsourcing, and partnering to reduce legal cost and increase delivery to the client’s bottom line. The legal profession is undergoing a massive transformation. We at Deloitte Legal see a clear need for a new type of service that combines legal advice with strategic advice across other disciplines. This is not currently provided by other law firms. Our clients want us to bring new solutions to the table, and that’s exactly the gap we want to fill. Our ambition is to become the law firm of the future. In Canada and the U.S. the traditional law firm legal service delivery model has only modestly advanced from the 19th century. 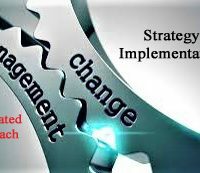 The traditional law firm’s simplistic business model, and the reality that rainmaker partners hold an inordinate and inappropriate amount of power over long term firm strategy, can dramatically limit the strategy options of law firm management and its leaders to compete. There’s a lack of incentive for partners to want to innovate on any significant scale due to the traditional business model of the law firm – it is a “cash-and-carry business”, where the partnership essentially pulls out all the working capital every year and pays it out amongst the partners: “It’s really hard to get a 60-year-old lawyer who has a window of five years before retirement to agree on a seven-figure investment on something that’s going to be cash-flow negative for the first three to four years and start paying dividends five years down the road”. Internationally, expectations in client service are being transformed by the growth of alternate business structures (ABSs) which permit non-lawyer investment and ownership, and multi- disciplinary practices (MDPs) which combine legal services with other professional services. An alternative business structure, or ABS, is a broad term that includes any form of law firm business structure as well as alternative means of delivering legal services. These new forms for delivering legal services permitted elsewhere in the world (i.e. UK in 2007, and Australia in 2001) are bringing non-lawyers into the ownership and management of legal practices, stimulating “non-lawyer capital” investment in innovation (processes and technology). Even outside of Europe and Australia, traditional BigLaw firms in the U.S. and Canada are influenced to at least adopt or consider stronger organizational governance and professional management within their own law firms. With the proper leadership and governance, there is still many opportunities and “low hanging fruit” yet to be picked in terms of law firm efficiencies. Contrary to what we hear, not every “new” or “huge” innovative technology or process is disruptive, not every NewLaw start-up will beat the incumbent law firm business model firms, and not every traditional law firm is going to be disrupted in the U.S., Canada, the UK, Australia, etc. More than anything, most legal technology are a set of tools that help lawyers work more efficiently so that they can focus on the things the practice management software or AI legal research technology they are utilizing cannot – be smart lawyers. Disruptive innovation ‘is not about mere technology, but about a game-changing business models that makes new use of an existing technology or takes advantage of a technological advance’. Whether one agrees with a particular philosophy, model or analysis, there is a path forward for the legal profession that meets the needs of individual and corporate clients in the ‘new normal’, but the legal profession must evolve and lead. 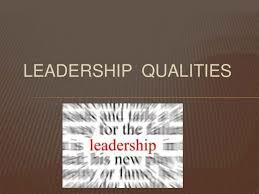 Leadership will be key – and cannot simply consist “of cultural signals and symbolic goals”. This requires a fundamental shift in how law firms think of themselves: from simply subject matter experts who must do everything possible to address the legal issue presented, to trusted, competitive and innovative cross-disciplinary professional legal service providers who are strategically positioned to provide leadership and give their clients what they actually want in an efficient cost effective manner. … full of sound and fury, signifying nothing. Last Port of Call – Are Lawyers botching transition from Profession to Business? What unique value does a lawyer offer today? Historically the lawyer was the trusted adviser to individuals, business, and government. As noted by Anthony Hilton in the UK’s Evening Standard, the lawyer was their first call in times of difficulty, the one they all turned to when it mattered. Since the 2008 financial crisis, however, lawyers have “allowed themselves to be pushed further and further down the food chain, and away from the seat of power”. In today’s commercial world, when there is a deal to be done it is picked over by investment bankers, brokers and business advisors, and increasingly outside of the U.S., the Big Four “accountant firms” seen as “globally integrated business solution advisors” (where an important component of the business solution that they offer is law) — all of whom have a share of the ear of the chief executive. Then “when all the high-level stuff has been sorted by these experts, the package is tossed to the lawyer with instructions to sort it out and make it presentable”. As the law is becoming commoditised, lawyers are becoming “the last port of call” in the professional services world as this scenario plays out. In this environment, some of the best and brightest lawyers in Canada, the U.S., the UK, Australia and Europe have moved “in-house as general counsel [and leaders] in the biggest companies, taking the interesting legal advisory work with them. They live in a world where, in many cases, competition between firms comes down to who will do it cheapest”. Lawyers have botched the transition from profession to business in a way accountants have not. That inevitably means a slow death for those traditional law firms and specialist lawyers who do not have the cross-disciplinary approach and efficiency, cannot adopt the innovative processes and technology, “and who, in their hearts, don’t really believe that is what the law should be about”. The resistance to some forms of innovation in legal service provision may be related to lawyers’ self-conception and tradition. Lawyers practice in a literally storied profession that emphasizes the independence of the lawyer and the status of the occupation as a profession rather than a business. Some prominent lawyers are appalled and saddened by innovations in the provision of legal services, and the changing role of the lawyer. This tradition has given rise to a unique professional culture – which in Canada and the U.S. includes the right of ‘self-regulation of lawyers’ and strict restrictions on non-lawyer investment and ownership of law firms, alternative business structures (ABS), and multidisciplinary practices (MDP) – which is not the case, for example, in such jurisdictions as the UK and New South Wales, Australia. It has been used to justify opposition to any perceived threat to the lawyer’s independence; it has also justified a variety of restrictions on who can practice law and how they can do so. Indeed, in other industries, similar restrictions might be considered anticompetitive and illegal. For good or bad, these restrictions, rooted in this tradition, constitute substantial impediments to leadership and innovation for traditional lawyers and law firms in Canada and the U.S. Traditional law firms in Canada and the U.S. are seen to be trailing other professional services firms in their ability to offer integrated multi-disciplinary services, as alternate business structures (ABS) would allow non-lawyers into the ownership and management of legal practices, stimulating “non-lawyer capital” investment in appropriate and strategic innovation (processes and technology) while further opening the legal marketplace to broader competition across national, state and provincial borders in respect to legal services (i.e. better, faster, cheaper). Canada – The Canadian Bar Association’s Legal Futures Initiative report in 2014 noted that there is “good evidence from Australia and England and Wales that non-lawyer ownership need not cause harm to client representation or the public interest”, and recommended that the “Canadian regulatory framework should be liberalized accordingly to achieve similar benefits”. In 2015 the Law Society of Upper Canada dropped the idea of allowing non-lawyers to hold majority ownership of law firms – as in England and Australia where firms can list shares on an exchange or raise capital from private-equity funds instead of relying solely on funds raised through debt – although a working group has continued to examine the possibility of allowing non-lawyers to hold a minority stake in areas of legal services not well served by traditional practices in the name of fostering innovation. U.S. – The American Bar Association’s ABA Commission on the Future of Legal Services report in August 2016 recommended that the Courts consider regulatory innovations in the area of legal services delivery. In respect to ABS, the Commission recommended that “continued exploration of alternative business structures (ABS) will be useful, and where ABS is allowed, evidence and data regarding the risks and benefits associated with these entities should be developed and assessed”. This has generally been considered a ‘dead letter’ in the U.S., the traditional policy of the ABA being a strict prohibition, so the recommendation of the ABA is considered a small step forward. When asked if the legal profession can move into the future without external investment, Law Society of Upper Canada CEO Robert Lapper was unequivocal. “No”. the immediate distribution of profits in a way that acts as a disincentive for retaining resources for research and development and dampens the career prospects of junior lawyers and new calls to the Bar. If adopted and authorized in an appropriate and robust manner by regulators in Canada and the U.S., alternative business structures (that have been implemented in the UK and Australia) would be important tools for the legal profession to at least have available for those firms looking to drive appropriate investment and adoption of innovative technology and processes. Instead of developing long-standing relationships with clients and their range of problems, the modern lawyer is often an increasingly isolated expert specialist. In contrast, the accountants in MDP and/or ABS business models have managed to reinvent themselves. They are now no longer “just the scorers” — they are recognised as multidisciplinary business advisers (where an important component of the business solution that they offer is law). 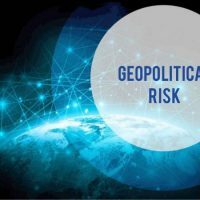 There is a point at which an institution [regulator] attempting to provide protection to a public that seems clearly, over a long period, not to want it, and perhaps not to need it—there is a point when that institution must wonder whether it is providing protection or imposing its will. It must wonder whether it is helping or hurting the public. Although the law can be of profound significance to business and to the working and social lives of individuals, the full breadth of the law is often too complex for non-lawyers to understand without help. 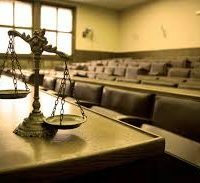 Historically, non-lawyers sought guidance from lawyers, and society granted the legal profession exclusive rights to provide assistance, one policy reason being the protection of the public. Within these parameters, the traditional law-firm business model delivered technically excellent service, but at seemingly whatever cost. With the increasing complexity in society and the business world, clients – in particular corporate clients – needed more sophisticated and specialized legal services. The vast majority of those services were only available through a labour-intensive, bespoke billable-hour model. So clients paid the ‘going rate’, and traditional law firms and BigLaw became more profitable by steadily increasing rates and hiring an increasing number of lawyers to keep up with demand. Because of these rapidly rising profits, law firms had little incentive to control legal fees, improve efficiency, or innovate. The downside for law firms was always off in the distance. In 50 years, the customer experience at most law firms has barely changed. If you needed legal advice in the ‘60s, you generally went to a nice building and met a lawyer in a suit who would then review your issue, conduct research, and bill you an hourly rate. But even with today’s modern communication tools, both customer experience and lawyer workflow have remained stagnant. There has been and continues to be strong criticism and “voices of concern from outside the profession” that lawyer fees are too expensive, access to justice is compromised, and that around the world the legal profession is “often not fulfilling the expectations of consumers of legal services”. 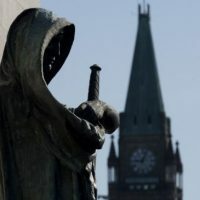 Supreme Court of Canada Justice McLachlin has noted that “the monopoly that the legal profession has traditionally enjoyed on the delivery of legal services, is eroding. Historically, it was widely accepted that only qualified lawyers – practitioners vetted and certified by bar associations – were permitted to provide legal services to clients, and then only through specific types of organizations, such as partnerships. These assumptions no longer prevail. In the age of the Internet, people are questioning why they, the consumers of legal product, should be forced to go to expensive lawyers working in expensive office buildings located in expensive urban centres. Why, they ask, should a client retain lawyers, when integrated professional firms can deliver accounting, financial and legal advice? 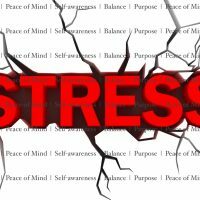 Why are simple disputes not resolved in simple, cost-effective mediation rather than by elaborate and expensive court proceedings? Public attitudes and demands are changing. Demands to relax the laws and regulations that govern who can offer legal services and how they should be rendered are following swiftly on the heels of questions like these. I am not talking about the future, but of now”. In Canada and the U.S. the traditional law firm legal service delivery model has only modestly advanced from the 19th century. As such, the era of exclusive relationships with a lawyer sitting behind an expensive wooden desk administering expensive legal advice is coming to an end. Some legal commentators suggest that many of the issues negatively impacting the legal profession, and in particular traditional law firms and BigLaw, is due to the law firm’s “outdated partnership model”, a “poor institutional choice for the delivery of legal services in today’s legal market” as the traditional model encourages partners to fixate on the short-term gain of the individual partner rather than the long-term success of the overall law firm. The traditional law firm’s simplistic business model, and the reality that rainmaker partners hold an inordinate and inappropriate amount of power over long term firm strategy, can dramatically limit the strategy options of law firm management and its leaders to compete, or even survive. To gain share, firms need to do better than the competition. Absent a unique market position, which only a handful of firms have, the only sustainable way to be better is through leadership, innovation and improved service delivery. Therefore, to be successful in the ‘new normal’, law firms must overcome the ‘partnership drag’ of the traditional law firm business model, and compete by becoming “commercial enterprises as well as professional service shops”, raising capital, appropriately investing in the future, and instituting “business processes and leveraging technology”. When the credit markets seized up in the fall of 2008, large corporations had to quickly cut expenses. The financial crisis placed significant pressure on corporate General Counsel to control legal spend, in line with the other C-suite level officers and divisions. At that time, many General Counsel and in-house legal departments woke up to their ability to successfully bargain over price with traditional law firms, including BigLaw the nation’s largest and most prestigious law firms. Decades of success had not prepared BigLaw for a rigorous battle over market share, and the stronger General Counsel were positioned to accelerate the challenge to the legal profession as the sole provider of legal services. Armed with enterprise legal management technology systems, external counsel management metrics, ‘third party lawyer rating’ services, and disciplined business knowledge and practices (i.e. supply chain procurement practices, RFP’s, law firm convergence, pricing controls and value based legal fees, key performance indicators and industry benchmarks), General Counsel had their law departments bring more work in-house, required traditional law firms to participate in RFPs, and began to strategically rely on NewLaw alternative service providers and outsourcing of unbundled legal services (for corporate or litigation matters) to obtain the benefit of economies of scale and supply chain economics. Increasingly, corporate clients are no longer seeing traditional law firms as a one-stop shop for their legal needs – and according to the Altman Weil 2016 Chief Legal Officer Survey there is a concern about “the lack of innovation in service delivery by law firms”. The traditional law firm model is often seen to sell the client a ‘Cadillac’, even when the client only needs or wants a ‘Ford’. Many of the competing NewLaw models promise the ‘Ford’, with prices to match. It is clear that, as law firms compete for legal business, they face new competition from ‘lean’ and innovative alternative legal service providers, including the large accounting firms (outside of the U.S.), in-house legal departments, legal process outsourcing companies (LPOs), and legal technology providers. The delivery of legal services is being pushed from purely bespoke towards a delivery model that is systematized and commoditized to provide efficient, cost effective legal services. In this ‘new normal’ the traditional law firm is no longer perceived to be the only legal service-delivery model in the world. A new legal ecosystem has emerged with new players and new answers providing important legal services to clients, giving General Counsel and sophisticated clients more leverage and putting more pressure on the traditional law firm business model and their perception as the trusted legal adviser. With new innovative competition, the demand of corporate and individual clients for legal services that provide “more for less” has eroded BigLaw’s share of the market for legal services. All evidence points to a flat market, at least for large law firms. Although legal profits for BigLaw rose substantially from 1984 to 2009, they have flat-lined since 2009. However, the actual demand for legal services in fact grew during this period, the legal work being picked up by the rise of alternatives to traditional BigLaw law firms. Players other than traditional law firms have been disrupting the business relationships of the traditional law firms and meeting and fulfilling the growing demand (and as a result fostering new long-term relationships for themselves). The historical lack of innovation and efficiency within the legal profession encouraged the entry of the entrepreneurs who saw huge profit-making opportunity in automating, streamlining, and outsourcing legal work formerly done by traditional expensive law firm associates. Technology: rooted in “analytics, platforms, artificial intelligence (AI), computing, and knowledge management (KM). Design: focused on “process improvement, user experience, design thinking, and project management”. Delivery: mechanics such as the “business models, regulation, and marketing”. Since the 2008 financial crisis and the downturn of the world’s economy, the power balance between lawyers and their clients has shifted: ‘legal services have been demystified, and legal service consumers are more knowledgeable, sophisticated and connected than ever before’. Client power is rampantly on the ascendancy, intensifying price-down pressure on traditional law firms, in particular BigLaw, and speeding up legal innovation and the development of competitive NewLaw ‘alternative legal service providers’ (i.e. NewLaw models, with some overlap, include among others: secondment firms, law and business advice companies, law firm accordion companies, virtual law firms and companies, and innovative law firms and companies). NewLaw has segmented the legal marketplace with its reliance on non-traditional and efficient business models, leveraging flexible work and billing arrangements, and disruptive business practices and technology (i.e. virtual workspace, value based fixed fee pricing, outsourcing, and legal technology). Technology is a meaningful tool to deliver efficient cost effective value to clients. It is changing the landscape and is an integral part of every legal function. 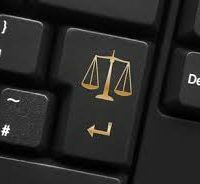 To remain effective in their jobs, legal professionals must at minimum develop the tech know-how to make wise technology decisions and in fact utilize the appropriate basic of technology. In Canada, the U.S. and other western countries, the adoption of technology is far from universal. Nearly all the law firms in the 2016 Altman Weil survey identified the need to improve the efficiency of legal service delivery as a permanent trend, more than half of the law firms have not significantly changed their approach to achieve greater efficiencies. In Toronto, some traditional law firms of under 20 lawyers and BigLaw firms in excess of 250 lawyers surprisingly still lack even basic legal technology such as matter management software (a basic practice management system for the firm or even legal department). Clients will recognize and reward those firms who at minimum utilize even basic – but appropriate – legal technology, such as practice management systems, imaging/scanning optical character recognition technology (paperless technology), communication and collaboration tools, knowledge management and document drafting system, encryption and other security measures, and technology assisted review tools for documents. However, sophisticated clients will expect more, as that is being provided by the innovative competitors. Unfortunately technology poses for some lawyers and law firms “cultural and capability challenges, the like of which the legal profession has not previously encountered and for which it is ill-prepared”. As such, because most lawyers are not trained as technologists, they need to have conversations between the domain expert lawyers and the technologists who can build the systems that will change the way the law operates. At minimum, lawyers should hire an IT or law and technology consultant to advise on software and hardware choices – and understand the “unique dangers that the use of technology may have when used to transmit confidential client information in a law office setting”. As well, organizations mainly associated with Universities such as CodeX, the Center for the Legal Profession, and the Legal Design Lab at Stanford University and many others – Georgetown (Iron Tech Lawyer), Suffolk (Institute on Law Practice Technology and Innovation), Chicago-Kent (Center for Access to Justice and Technology), Michigan State (LegalRnD, and Reinvent Law Lab), Ryerson University (Legal Innovation Zone), MaRS (LegalX) – are working actively to facilitate those conversations. Failure to significantly invest in appropriate and strategic technology (to streamline or automate routine aspects of legal work via artificial intelligence legal tech, online legal services, practice management software, intellectual property / trademark software services, legal research, e-discovery, notarization tools) is undermining the traditional law firm business model’s ability to complete in the legal market. Revolutionary technologies such as ‘big data’ and improvements in artificial intelligence (such as IBM’s ‘Watson’ and the ROSS plain-language legal research tool used by solo practitioners and mega firms such as Dentons) offer unparalleled efficiencies in the delivery of certain aspects of legal work in law firms and in-house legal departments. For example, AI can be used for compliance, due diligence, document automation and contract review, answering routine questions, mining documents in discovery, legal research, predicting case outcomes – faster, better, cheaper and becoming more so with the assistance of intelligent software. AI is moving up the “legal vertical”, and “is not just about back-office administration, legal research and know-how – it is also front-end, client facing services and business development”, providing a competitive advantage “as firms that invest in AI can take on more work at competitive rates while maintaining their margin”. Embracing technology is will continue to be driven by clients and by innovative competition from firms offering legal services and using technology which “many believe” will allow lawyers to focus on “complex, higher-value work”. For NewLaw and advanced technology, with legitimacy comes normalization, reach and then market change. Law firms face increasing pressure to deliver more value to clients; and a key component of delivering more value is improving lawyer efficiency with technology. There is a growing disconnect between how lawyers and clients value the services provided by lawyers. This discontent extends to the traditional law firm delivery model and culture – a culture, for example, where exponentially escalating billable hours are equated with value to clients and commitment to the firm. What is wrong with billing on an hourly basis? The answer: there is no incentive to lower costs; to the contrary, under the traditional law firm and billable hour model working efficiently reduces profit. The traditional partnership structure of traditional and BigLaw firms (and hourly billing practices) was once a major strength, but is now a major barrier to innovation: ‘Efficiency… is antithetical to the law firm business model, which is based on charging clients for time spent, rather than on results or other measures of value’. It is difficult for firms to move from one business model to another as they are typically constrained by their own resources, processes and values. The hourly rate neither encourages nor rewards efficiency [but instead] penalizes it. As recently as last year, 63 % of U.S. law firm leaders surveyed by the Law Firms in Transition Survey said that their law firms were not ‘doing more’ to innovate because ‘[c]lients aren’t asking for it’. Leaders of law firms employing at least 1,000 lawyers said that they were ‘not feeling enough economic pain to motivate more significant change’. In Canada, the U.S. and other western countries, the death of the billable hour model in traditional and BigLaw law firms continues to remain greatly exaggerated. In Toronto, many traditional law firms (from 3 and 4 lawyers to 50 lawyers) and BigLaw firms in excess of 250 lawyers continue to utilize the billable hour model. Not surprisingly, most clients perceive lawyers as neither efficient nor cost effective. Clients are increasingly frustrated with many traditional law firms and the way they deliver legal services. There is a general frustration with the billable hour model, and lack of a focused and consistent emphasis on such things as: staffing and flexible work practices; pricing and alternative value based fees; innovative and efficiency based technology (both investment and utilization); cloud-based tools that allow seamless communication networks; process improvement and knowledge management; project management; and reduced overhead (i.e. office space, outsourcing of administrative work to office management), which translates into considerable cost savings for clients. Although many law firm leaders recognize the problem, they struggle to communicate it convincingly to partners who have become rich under the existing model. Even some of the newer technically savvy lawyers may be potentially missing the big picture, as they pointedly send notes and images via social media confirming to clients and competitors that they do not fully understand the innovative ‘new normal’ in Canada and across the world (i.e. “Please do not confuse your google search with my law degree”). Having personally written a book about failed firms, I am terribly aware of the monsters that await the legal profession; a reality that will come to bear with or without permission from the legal Titans. Despite the clouds gathering on the horizon, much of today’s legal leadership stands steadfast, choosing riskily to meet the juggernaut head on. There is still hope, however, for those guardians of the industry that remain astute and flexible. The law profession does not have a reputation for embracing change. Many lawyers fear the commoditization of legal services, firstly for its potential to devalue the practice of law, and secondly – in respect to BigLaw in particular – because the revenue derived from such services may be perceived to be low, with the long-term margin failing to justify such financial investment for senior partners accustomed to “certain levels” of annual income. Many of the BigLaw partners in the U.S. and Canada who are thriving the most under the traditional model—selling their time for $1,000 an hour and feeding work to a large cadre of junior lawyers—are the major roadblock to a more competitive future. Unless these traditional law firm partners are willing to share risk toward the goal of developing a new source of firm-specific competitive advantage, BigLaw won’t be able to turn the corner long term. General Counsel for corporate clients worldwide – the U.S., UK, Europe, Australia, and Canada – “are generally dissatisfied with traditional law firms”, and “roughly half of those surveyed would consider hiring non-traditional legal service providers”. There is an opportunity to right the ship. 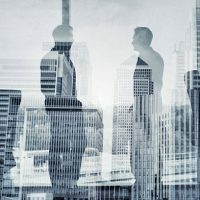 In the past, Canadian and U.S. law firms “could once expect their competitors to be the mirror image of themselves: firms of the same size, all doing the same work for the same fees”, however this is no longer the case and some within the profession have difficulty understanding their new competitors. This must change, starting with the regulators and the law schools. There is a solution. Leadership matters. Lawyers are currently educated and trained to be wise counselors, providing practical advice and wisdom. However, they should also aspire and be trained to be wise leaders and practical visionaries. Lawyers should be able to build and lead law firms and organizations and in-house legal departments – to develop the vision, the values, the priorities, the strategies, the people, the innovative processes and appropriate delivery models, the checks and balances, the resources and innovative technology, and the motivation. Lawyers, more than any other time in our legal history, will have to think and act like entrepreneurs, and must embody a greater level of leadership and innovation in respect to client relationships, processes, technology and delivery model. To be successful, lawyers must embrace a sustainable cross-disciplinary model for delivering legal services that is attractive to clients. “In place of partners and committees, firm leadership roles will fall to “C-suite” executives with titles like “Chief Innovation Officer,” who will evaluate 10- and 20-year technology and cultural trends. CFOs and COOs will plan yearly capital investments and make day-to-day operational calls… In the process, experts say, firms will shed the inherent weaknesses of legal partnerships — slow, incremental committee decision-making, often thin management experience, easy dissolution, short-term planning — and replace it with a truly corporatized American law firm. 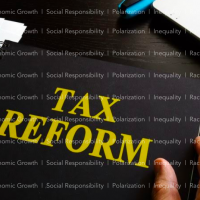 Many firms have in recent years modified parts of their business to better mimic other professional service businesses, such as implementing fixed fees, hiring non-lawyer CEOs, and outsourcing. Others are moving more aggressively to a corporate hierarchy they argue is better adapted for the overall survival of the business, rather than propped up by tradition to appease individual partners…. Many managing partners have had time since 2008 to realize that downward profit trends and changing attitudes about the value of legal services necessitate a stricter business discipline, and how more top down control can help make it happen. There is a path forward for the legal profession that meets the needs of individual and corporate clients in the ‘new normal’, but the legal profession must evolve and lead. There needs to be a development of models that balance their clients’ needs with their own need to make a fair profit. 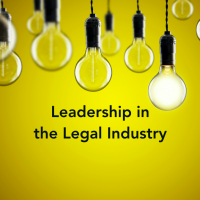 This requires a fundamental shift in how law firms think of themselves: from simply subject matter experts who must do everything possible to address the legal issue presented, to trusted, competitive and innovative professional legal service providers who are strategically positioned to provide leadership and give their clients what they actually want. For law firms providing legal services to corporate clients, this must include cross-disciplinary approaches. Private practice lawyers need to be more aligned across the whole firm and better at building relationships both internally and externally with their clients. Leadership skills are now an essential part of their role and will be a substantial part of their legal training in the future. The evolution of the legal industry provides opportunities for law firms to chart innovative and newfound paths with their clients, but in Canada and the U.S. they must modernize in respect to their traditional and regulated business model. For lawyers, this is a time to rethink how the business of law can work and how the solutions to their clients’ legal problems can be shared with their clients in the most efficient and cost-effective way, while still providing for reasonable income for lawyers’ expertise and efforts. In fact, those lawyers who recognize the pending changes as an opportunity will likely do very well in this new environment. Traditional lawyers and BigLaw can tap the alternative legal demand. But will they in any numbers, and if they do not have strong firm leadership? Tapping that demand means moving away from the traditions of billable hours and partners and associates. Firms can – and some indeed do – hire lawyers not on the partnership track. These lawyers, often called staff or project attorneys, bill at rates sometimes significantly lower than associates. Growing the ranks of such lawyers – and then managing them effectively – can help firms compete with lower-cost providers. In the U.S. and Canada, some law firms are now tapping the alternative legal market with technology, but many Law firms appear resistant to replace processes or practices outside of the very basic e-discovery and practice management systems. What do the innovative firms have in common? Strong leadership, smart strategy and a willingness to embrace change. The “Great Shake-out” began about eight years ago and will continue well into the next decade. Perhaps the story of BigLaw’s ultimate winners and losers is only half-written, but for some firms, the ending may already be inevitable. A future article will profile those firms embracing and tapping the alternative legal demand. Technology – if appropriately and strategically adopted and utilized – offers traditional legal firms a step up in addressing their predicament. By leveraging the power of algorithm-driven automation and data analytics to “productize” aspects of their legal work, a number of innovative law firms are finding that, like Google and Adobe, they can increase margins as they grow, while giving clients better service at prices that competitors can’t match. For example, AI is poised to revolutionize compliance. Faced with a proliferation of regulations since the financial crisis, banks have added tens of thousands of compliance officers but are now turning to artificial intelligence technology to stay on top of the ever-changing regulatory landscape. Analytics can guide compliance departments , and there in-house and external lawyers, providing a more automated approach to risk and regulatory compliance review”. What makes artificial intelligence stand out is the potential – with appropriate leadership – for a paradigm shift in how legal work is done. Productivity rises, efficiencies increase, and nonlinear scale becomes feasible as productized services take over high-volume tasks and aid judgment-driven processes. From a corporate client perspective, if law firms use technology appropriately, it will improve efficiency and value, making better use of time and financial resources. For the disruptors and innovative law firms, a strong theme to emerge from the research is the importance of leadership and collaboration — and not just with colleagues and clients, but also project managers, data and tech experts, pricing professionals, knowledge managers, legal process outsourcing providers, technology-enabled legal services, contract or project lawyers, accountants, in-house counsel, and others who can work at the intersection of law practice, business and technology. Legal professionals cannot work in a vacuum or in silos. Even small law firms must rely on support staff and team up with co-counsel, experts, and vendors to deliver effective and cost effective legal services. The needs of a client, in particular sophisticated corporate clients, may transcend the skills of a lawyer, practice group, or law firm such that teamwork is essential for the success of the law firm and the client. Thinking innovatively, some of the most fruitful joint efforts can be with rivals or other professionals who have different ways of working. Microsoft’s outsourcing of its non-routine procurement contracts work to UK law firm Addleshaw Goddard involved the firm working closely with a Seattle-based law firm, Davis Wright Tremaine. Both firms worked for a fixed fee, submitted one bill and provided business analytics alongside legal advice. The firms collaborated appropriately to smooth out the cultural differences between UK and US law firms. To be successful going forward, whatever the business model lawyers develop, it is clear that experts in other fields need to be included. There is too much information out there to think that superior legal analyses and/or rainmaking abilities – that may have qualified a partner of yesteryear to sit at the apex of a law firm – qualifies that partner to maintain that position today. A major required change for law firms is to the ‘caste system’, the artificial divide between lawyers, and other professionals and staff, as lawyers alone cannot deliver the required value clients demand. What is clear is that both lawyers and clients are increasingly turning to traditional business methods such as unbundling, outsourcing, process management and partnering to reduce the cost of legal services and to increase return that these services deliver to the bottom line – whether of the client or of the entity delivering the legal service. In such a world, the Big 4’s [accounting firms] legal networks are likely to be important players, since they have been engaged in these practices far longer, and far more extensively, than any traditional law firm. Lawyers seeking to understand the dynamics of the legal services market in the coming decades therefore ignore the Big 4’s re-emergence in this arena at their peril. Despite its often traditional image, there has been and will continue to be innovation in processes and technology and business models. For some, like Richard Suskind, the pace is too slow (though the end game is inevitable); to others, like some provincial law societies and state bar associations, the pace is too fast, or could become that way. Such contradictory views are not surprising, depending upon the point of view, where one is on the continuum of self-preservation, and if one is old enough that they “can try to ride out the end of the buggy whip era until retirement, hoping there will be enough horse drawn carriages around to keep them in business until their careers are over”. The Big Four are “the biggest underestimated threat to the legal profession today”. Innovative law firms, in-house counsel, and third-party partners (including alternative legal services providers) are working together to disrupt the traditional law firm model. General Counsel aren’t looking to do away with their law firms – they need them, but on their terms. That frees up well-paid lawyers to focus on legal matters that require more sophistication—and generate greater value. Today, there is more regulation and more risk and corporate clients still need the know-how of these lawyers to overcome those challenges. Is this the much-publicized death of traditional law firms or Big Law? No, not just yet. Where a corporation’s General Counsel or Chief Legal Officer is ‘ineffective’, or when it comes to high-stakes, bet-the-company deals and litigation, major companies will still typically seek out – with exceptions – the most prestigious and powerful representation they can afford. Nevertheless, this will continue to change as General Counsel and Chief Legal Officers become stronger across the board (from small to large corporations), and as law firms’ competitive positions become more difficult to defend and continue to erode. For example, we are even now seeing innovative companies beginning to utilize in-house counsel to handle complex corporate commercial and legal advisory matters, and even conducting their own trials and appeals. Traditional law firms are ripe for disruption. Will the legal profession accept the challenge, or become increasingly irrelevant as governments, corporations, and ordinary individuals side-step or otherwise avoid or strictly limit the utilization of traditional legal firms and lawyers going forward? Entirely new ways of delivering legal services will emerge, new providers will enter the market, and the workings of our courts will be transformed. Unless they adapt, many traditional legal businesses will fail. One the other hand, a whole set of fresh opportunities will present themselves to entrepreneurial and creative young lawyers. To respond, law firms will have to go beyond simply cutting costs through processes and technology, while continuing to preserve the general way they win work, produce work, charge for work, and govern themselves. Short term this may work, long term law firms need to adopt multidisciplinary business models that allow investment by non-lawyers and are better adapted to serve their clients not just today, but well into the future. To succeed under the changed circumstances, law firms need to remake their business models in accord with the needs of their clients. “Law firms don’t actually want to invest in tech, so the accounting firms are doing it. That’s the issue. Either the law firms decide they want to become the law tech providers, or we’re going to be eaten for lunch by everybody”. We will address strategies for law firms to consider in order to be better prepared for the future in a forthcoming article. The good news for lawyers is that according to the Georgetown 2016 Report on the State of the Legal Market, law firms that have responded proactively to changing client expectations by making strategic changes to their lawyer staffing, service delivery, use of technology, and pricing models are outperforming their peers in terms of financial results. [L]awyers can play through the end of the game. They can change what they do and how they do it and find new ways to remain relevant to their clients. They can pivot the profession to provide the type of resource society will need to help with governance now and in the future. Mitchell Kowalski, Avoiding Extinction: Reimagining Legal Services for the 21st Century, 2012.
 International Bar Association, ‘Times are a-changin’: disruptive innovation and the legal profession, IBA Legal Policy & Research Unit, May 2016; Canadian Bar Association, Futures: Transforming the Delivery of Legal Services in Canada, August 2014; ABA Commission on the Future of Legal Services, Report on the Future of Legal Services in the United States, August 2016; Law Society of England and Wales, The Future of Legal Services, January 2016; Beverley McLachlin, Legal Profession in the 21st Century: Remarks of the Right Honourable Beverley McLachlin, P.C. Chief Justice of Canada (2015 Canadian Bar Association Plenary), Supreme Court of Canada, August 14, 2015; George Beaton and Imme Kaschner, Remaking Law Firms: Why and How, June 7, 2016; Richard Susskind, Tomorrow’s Lawyers: An Introduction to Your Future, 2013; Deloitte, Future Trends for Legal Services: Global Research Study, June 2016.
 International Bar Association, ‘Times are a-changin’: disruptive innovation and the legal profession, IBA Legal Policy & Research Unit, May 2016; Canadian Bar Association, Futures: Transforming the Delivery of Legal Services in Canada, August 2014. George Beaton and Imme Kaschner, Remaking Law Firms: Why and How, June 7, 2016. Neil Rickman and James Anderson, Innovations in the Provision of Legal Services in the United States: An Overview for Policymakers, Kauffman-Rand Institute for Entrepreneurship Public Policy, 2011. Anthony Hilton, Why their profession’s failures mean lawyers don’t win top city jobs, Evening Standard, UK, September 22, 2016; Maria Jose Esteban and Professor David Wilkins, The re-emergence of the Big 4 in law, Thomson Reuters, April 27, 2016. Deloitte makes its case, CBA National Magazine, June 22, 2016 [http://www.nationalmagazine.ca/Blog/June-2016/Deloitte-makes-its-case.aspx]; Deloitte, Future Trends for Legal Services: Global Research Study, June 2016 – “independent research study commissioned by Deloitte Legal. Findings are based on 243 quantitative survey responses, and 30 qualitative, in-depth interviews with in-house legal services purchasers, mainly occupying positions of CEOs, CFOs or General/Legal Counsel.” [www2.deloitte.com/global/en/pages/legal/articles/deloitte-future-trends-for-legal-services.html]. William D. Henderson, More Complex than Greed, The American Lawyer (AxiomLaw.com), May 29, 2012. Sandra Rubin, Funding Legal Innovation in Canada, Lexpert.ca, June 27, 2016. Law Society of Upper Canada Alternative Business Structures Working Group, Alternative Business Structures and the Legal Profession in Ontario: A Discussion Paper, 2014 – An alternative business structure, or ABS, is a broad term that includes any form of traditional law firm business structure as well as alternative means of delivering legal services. These may include, for example: (a) non-lawyer or non-paralegal investment or ownership of law firms, including equity financing; (b) firms offering legal services together with other professionals offering other types of services (often referred to as MDP); and (c) firms offering an expanded range of products and services, such as do-it yourself automated legal forms, as well as more advanced applications of technology and business processes. UK: ABSs, which include non-lawyer ownership, were first adopted in New South Wales, Australia, in 2001, and were subsequently adopted in England and Wales in 2007 [Canada: Canadian Bar Association, Futures: Transforming the Delivery of Legal Services in Canada, August 2014]. Australia: ABSs, which include non-lawyer ownership, were first adopted in New South Wales, Australia, in 2001, and were subsequently adopted in England and Wales in 2007 [Canada: Canadian Bar Association, Futures: Transforming the Delivery of Legal Services in Canada, August 2014]. John Kelly, Partnership Impediment to Innovation in Law “The PIIL Factor” A Future Law Perspective, Linkedin.com May 19, 2015; Jordan Furlong, The lawyer vs. the law firm, CBA National Magazine, Fall 2016; Andrew Strickler, BigLaw’s New Bosses Will have Skills to Pay the Bills, Law360, February 19, 2013; David Perla, Democracy and Law Firm Leadership, Above the Law, July 26, 2016; Jeffrey Lowe, BigLaw 2016: A Look Ahead, Law360, January 12, 2016; John O. Cunningham, Law Firm Leadership in the 21st Century: Say Hello to the Law Firm CEO, Legal Marketing Reader, February 2012. Clayton M. Christensen, The Clayton M. Christensen Reader: selected articles from the world’s foremost authority on disruptive innovation, Harvard Business Review, February 9, 2016; George Beaton and Imme Kaschner, Remaking Law Firms: Why and How, June 7, 2016; George Beaton, Remaking Law Firms: A perfect primer, RemakingLawFirms.com; Jeff Bennon, Why Isn’t Legal Technology Revolutionary?, Above the Law, November 1, 2016. Jeff Bennon, Why Isn’t Legal Technology Revolutionary?, Above the Law, November 1, 2016 (“I read about legal technology says that it is ‘dynamic’ or ‘revolutionary’. Most of the time it’s not. … that’s because legal tech is supposed to help you be revolutionary…. More than anything, legal tech is a set of tools that helps us work more efficiently so that we can focus on the things the practice management software cannot – be great lawyers. When I was working in a small law firm with eight attorneys, we would still get outmanned by smaller firms that simply were able to operate more efficiently, which meant their two people could do the work of three or four.”). International Bar Association, ‘Times are a-changin’: disruptive innovation and the legal profession, IBA Legal Policy & Research Unit, May 2016; Shannon L Spangler, ‘Disruptive Innovation in the Legal Services Market: Is Real Change Coming to the Business of Law, or Will the Status Quo Reign?’, American Bar Association Annual Meeting, Boston, August 7–11, 2014. Huron Legal, What General Counsel Want (and Need) from their Law Firms and Other Legal Service Providers, 2013. Anthony Hilton, Why their profession’s failures mean lawyers don’t win top city jobs, Evening Standard, UK, September 22, 2016. Law Society of England and Wales, Key facts – Regulatory Regime in England and Wales, Lawsociety.org.uk [www.lawsociety.org.uk/support-services/risk-compliance/regulation/key-facts-regulatory-regime-england-wales/]; Public Policy, Legal Strategy 101: It’s Time for Law Firms to Re-think Their Business Model, Wharton.upenn.edu, April 29, 2009 (“law firms in Europe and the United Kingdom are now undergoing a period of rapid deregulation … which allows for alternative business structures and non-lawyer ownership of firms”); Mark Cohen, The Pond Seems Wider: The Regulator Gap Between UK and U.S. Legal Practice, Legal Mosaic, May 4, 2015. Australian Law Reform Commission, Australian Government, Ensuring Professional Integrity: Ethical Obligations and Discovery, Alrc.gov.au; Steve Mark, The Regulatory Framework in Australia, ABA 40th Conference on Professional Responsibility: Regulatory Innovation in England and Wales and Australia – What’s in it for Us, May 29, 2014; Mark Cohen, The Pond Seems Wider: The Regulator Gap Between UK and U.S. Legal Practice, Legal Mosaic, May 4, 2015. Neil Rickman and James Anderson, Innovations in the Provision of Legal Services in the United States: An Overview for Policymakers, Kauffman-Rand Institute for Entrepreneurship Public Policy, 2011; Laurel Terry, The European Commission Project Regarding Competition in Professional Services, 29 Northwestern Journal of International Law & Business 1, 2009; Mark Cohen, The Pond Seems Wider: The Regulator Gap Between UK and U.S. Legal Practice, Legal Mosaic, May 4, 2015. Mark Cohen, The Pond Seems Wider: The Regulator Gap Between UK and U.S. Legal Practice, Legal Mosaic, May 4, 2015. “The Law Society’s ABS Working Group delivered an interim report to September 2015 Convocation outlining its initial assessment and the directions it will consider further. The Working Group has decided not to continue to consider structures involving majority ownership, or control, of traditional law firms by non-licensees. Through its research and consultations, the Working Group considers that the experience to date in other jurisdictions does not show that the benefits of majority non-licensee ownership, or control, outweigh regulatory concerns. “Canadian law societies are big flirts, at least when it comes to alternative business structures (ABS) and allowing non-lawyers to own stakes in legal-services delivery companies. But what they’re flirting with is irrelevancy. Last year, the Law Society of Upper Canada dropped the idea of allowing non-lawyers to hold majority ownership of law firms, as in England and Australia where firms can list shares on an exchange or raise capital from private-equity funds instead of relying solely on funds raised through debt. Gail Cohen, Don’t be afraid of change, Legal Feeds (Blog of Canadian Lawyer & Law Times), April 27, 2016. Canadian Bar Association, Futures: Transforming the Delivery of Legal Services in Canada, August 2014; International Bar Association, ‘Times are a-changin’: disruptive innovation and the legal profession, IBA Legal Policy & Research Unit, May 2016; Law Society of England and Wales, The Future of Legal Services, January 2016; ABA Commission on the Future of Legal Services, Report on the Future of Legal Services in the United States, August 2016; Judith McMorrow, UK Alternative Business Structures for Legal Practice: Emerging Models and Lessons for the US, 47 Georgetown Journal of International Law 665, 2016; John Dzienkowski, The Future of Big Law: Alternative Legal Service Providers to Corporate Clients, 82 Fordham Law Review, 2996, 2014; Laura Snyder, Does the UK know something we don’t about alternative business structures?, ABA Journal, January 1, 2015. In re Op. No. 26 of the Comm. on the Unauthorized Practice of Law, 654 A.2d 1344, 1360–61 (N.J. 1995); Laurel A. Rigertas, The Legal Profession’s Monopoly: Failing to Protect Consumers, 82 Fordham Law Review 2683, 2014. William D. Henderson, More Complex than Greed, The American Lawyer (AxiomLaw.com), May 29, 2012; Canadian Bar Association, Futures: Transforming the Delivery of Legal Services in Canada, August 2014; International Bar Association, ‘Times are a-changin’: disruptive innovation and the legal profession, IBA Legal Policy & Research Unit, May 2016; Law Society of England and Wales, The Future of Legal Services, January 2016; ABA Commission on the Future of Legal Services, Report on the Future of Legal Services in the United States, August 2016. Bob Goodman and Josh Harder, Four Areas of Legal Ripe for disruption by Smart Startups, Law Technology Today, December 16, 2014. Ralph Baxter, Looking at the Law Firm Partnership Model and How to Fix it, Thomson Reuters, February 25, 2015 [http://legalexecutiveinstitute.com/looking-at-the-law-firm-partnership-model-how-to-fix-it-by-ralph-baxter/]; Professor Johnathan T. Molot, What’s Wrong with Law Firms? A Corporate Finance Solution to Law Firm Short-Termism, Southern California Law Review 2015. John Kelly, Partnership Impediment to Innovation in Law “The PIIL Factor” A Future Law Perspective, Linkedin.com May 19, 2015; Jordan Furlong, The lawyer vs. the law firm, CBA National Magazine, Fall 2016; Fernando Garcia, Adopting data analytics a critical part of success, Canadian Lawyer, October 17, 2016; Joe Borstein, Alt.Legal: The Biglaw ‘Caste System’ – An Impediment to Innovation?, Above the Law, March 9, 2016. Richard Susskind, Tomorrow’s Lawyers: An Introduction to Your Future, 2013; Richard Susskind, From Bespoke to Commodity (Legal Technology Journal, 2006), Michael Bleby, New Generation of Law Firms Sparks Life into Legal Service, Financial Review, July 4, 2013; Alexandra Varney, Firmly Outside the Box, Harvard Law Today, November 24, 2014; International Bar Association, ‘Times are a-changin’: disruptive innovation and the legal profession, IBA Legal Policy & Research Unit, May 2016; Shannon L Spangler, ‘Disruptive Innovation in the Legal Services Market: Is Real Change Coming to the Business of Law, or Will the Status Quo Reign?’, American Bar Association Annual Meeting, Boston, August 7–11, 2014. See: Richard Susskind, A Response to the More For Less Dilemma, The Practice, Harvard Law School, November 2014; Neil Rose, More for Less, Financial Times, October 13, 2013; “More for less”, liberalisation and technology: Susskind lays out vision of the future, Legal Futures, July 2, 2012. Joe Borstein, Alt.Legal: The Biglaw ‘Caste System’ – An Impediment to Innovation?, Above the Law, March 9, 2016; Daniel Katz, Law + Tech + Design + Delivery: Observations Regarding Innovation in the Legal Industry, September 20, 2015, 366 slide presentation. Marilyn Odendahl, Trend of in-house counsel doing more internally likely to continue, Indiana Lawyer, October 19, 2016. Maria Jose Esteban and Professor David Wilkins, The re-emergence of the Big 4 in law, Thomson Reuters, April 27, 2016; Thomas Connelly, Big Four accountancy giants are expanding their legal services arms globally – and solicitors are getting worried, Legal Cheek, January 28, 2016; Michael McKiernan, Accounting firm enters business law market, Law Times, March 14, 2016; Caleb Newquist, It’s Only a Matter of Time before Big 4 Firms Offer Legal Services in the US, Going Concern, May 9, 2016; Ellie Clayton, The Big Four threat to legal services, January 28, 2016; Heather Suttie, Adding More Legal Might to Canada’s Big Four, HeatherSuttie.ca, March 20, 2016; Mitch Kowalski, Deloitte’s deal with Conduit Law continues its march into legal services, National Post, March 22, 2016; International Bar Association, ‘Times are a-changin’: disruptive innovation and the legal profession, IBA Legal Policy & Research Unit, May 2016; Peta Tomlinson, Accountancy Firms Make the Move into Legal Services, ACCA, October 1, 2015; Attack of the Bean Counters – Lawyers Beware: the accountants are coming after your business, The Economist, March 19, 2015. Frank Strong, Friday Share: The 4 Pillars of Legal Innovation, LexisNexis Business of Law Blog, February 19, 2016; Daniel Katz, Law + Tech + Design + Delivery: Observations Regarding Innovation in the Legal Industry, 2016, 366 slide presentation. Law and Business Advice Firms: combine legal advice with general business advice of the type traditionally provided by management consulting firms, and/or help clients with investment banking as well as legal needs. Examples: (a) Axiom Law – Axiom Cognition in Canada – outsourcing on demand lawyers in support of law firms and in-house counsel working remotely , onsite with clients, or at firm offices. Emphasis on leaner structure that emphasizes process innovation, and increased use of online legal services software and technology. Combines two models, the secondment (outsourcing) and law and business (managed service providing law and business advice) models and now has over 1200 professionals worldwide for high-end business of law / complex financial transactions and compliance; (b) Exemplar Companies – law firm company with business, tax and accounting, and investment banking services. Headquartered in Boston, with satellites. Sally Kane, Top Ten Legal Skills – competitive and attractive legal skills for job seekers, The Balance, August 3, 2016. Altman Weil, 2016 Law Firms in Transition survey. 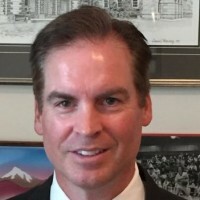 Eric Sigurdson, Law Practice Management, Technology and Innovation – a practical framework for law firms and legal departments, Sigurdson Post, September 19, 2016. Eric Sigurdson, Law Practice Management, Technology and Innovation – a practical framework for law firms and legal departments, Sigurdson Post, September 19, 2016; LSUC, Technology Practice Management Guideline, 5.5 Competent Use of Information Technologies – “lawyers should have a reasonable understanding of the technologies used in their practice or should have access to someone who has such understanding”. Roland Vogl, The Coming of Age of Legal Technology, Stanford Law School (law.stanford.edu), September 26, 2016; Sandra Rubin, Funding Legal Innovation in Canada, Lexpert.ca, June 27, 2016; Kenneth Grady, The New in Legal Education, linkedin, June 27, 2016. Christine Heckart, The growing network divide: What it means for your company and your career, Community.brocade.com, October 21, 2016. Ron Friedmann, My Big Unanswered Legal Tech Question, Linkedin.com, October 17, 2016. Thomas S Clay and Eric A Seeger, ‘Law Firms in Transition Survey’ (Altman Weil, 2015) [www.altmanweil.com/dir_docs/resource/1c789ef2-5cff-463a-863a-2248d23882a7_document.pdf]; International Bar Association, ‘Times are a-changin’: disruptive innovation and the legal profession, IBA Legal Policy & Research Unit, May 2016. David J. Parnell, Richard Susskind: Moses to the Modern Law Firm, Forbes.com, March 21, 2014. Drew Hasselback, Lawyers looking over shoulder as new competitors enter legal market place, National Post, December 31, 2015. Kenneth Grady, The New in Legal Education, linkedin, June 27, 2016; Eric Sigurdson, Lawyers and Leadership: effective and ethical judgment and decision-maiking required to address societal and professional challenges, Sigurdson Post, September 5, 2016; Eric Sigurdson, Law Practice Management, Technology, and Innovation – a practical framework for law firms and legal departments, Sigurdson Post, September 19, 2016. Richard S. Granat and Stephanie Kimbro, The Teaching of Law Practice Management and Technology in Law Schools: A New Paradigm, Chicago-Kent Law Review, Vol. 88:3, page 757, 2013; CBA Legal Futures Initiative, Futures: Transforming the Delivery of Legal Services in Canada, Canadian Bar Association, 2014, page 7; Sandee Magliozzi, How Moving from ‘Best’ to ‘Next’ Practices Can Fuel Innovation, Santa Clara Law Faculty Publications, November 2015 – “We need to develop the competencies lawyers and law students will need to anticipate and respond to an increasingly rapidly changing legal landscape”; ABA Commission on the Future of Legal Services, Report on the Future of Legal Services in the United States, August 2016. Clayton M. Christensen, The Clayton M. Christensen Reader: selected articles from the world’s foremost authority on disruptive innovation, Harvard Business Review, February 9, 2016; George Beaton and Imme Kaschner, Remaking Law Firms: Why and How, June 7, 2016; George Beaton, Remaking Law Firms: A perfect primer, RemakingLawFirms.com. Sandra Rubin, Funding Legal Innovation in Canada, Lexpert.ca, June 27, 2016 – “The promising new technologies are not strapped for cash. While some of the money may come from permitted investors such as law firms like Blake, Cassels & Graydon LLP or McCarthy Tétrault LLP, two of LegalX’s sponsors…”; Matthew Field, ‘Unprecedented applications in the legal industry’: Denton’s Nextlaw backs two legal tech startups with funding and training, LegalBusiness.co.uk, October 16, 2016 – “Nextlaw Labs, the legal tech platform launched by Dentons last year, has invested in two legal startups, alongside venture funding company Seedcamp. The pair are backing two startups, Libryo [software platform re regulatory issues] and Clause [contract building platform for automated and data-integrated contracts], as part of an initial co-investment worth around €200,000. The partnership will also offer future training and mentoring from lawyers at Dentons to develop the products”; Victoria Young, ‘Thinking Space’: Reed Smith to collaborate with clients with launch of new innovation Hub, LegalBusiness.co.uk, October 4, 2016 – “Reed Smith has made a concerted investment in the legal technology and innovation space with the launch today (4 October) of a dedicated ‘thinking space’, believed to be the first of its kind in London, after developing its own software to maximise efficiency in corporate deals. The ‘Innovation Hub’ is the brainchild of global chief knowledge officer Lucy Dillon who has employed the former leader of Lexis Nexis’ new product development team, Alex Smith, to run it. Smith joins as the firm’s dedicated innovation manager, to be based in London. He will work internationally with clients to develop technology that cuts costs and enhances legal services”; David Dias, Blakes, LegalX to launch digital innovation contest: Global Legal Innovation Challenge will call on contestants to solve one BigLaw problem, Legal Feeds (Blog of Canadian Lawyer & Law Times), February 4, 2016 – “As corporations increasingly demand efficiency and tech savvy from their law firms, one such firm has teamed up with a legal technology incubator to launch an innovation contest for developers in the space. The Global Legal Innovation Challenge — the brainchild of Blake Cassels & Graydon LLP and LegalX — will call on a broad range of tech companies to solve a specific problem facing Big Law in Canada. Blakes announced the initiative yesterday as part of its sponsorship of LegalX, which oversees a cluster of startups working out of the MaRS Discovery District”; Tali Folkins, Dentons partnering with IBM on legal innovation lab, Legal Feeds (Blog of Canadian Lawyer & Law Times), February 4, 2016; Jordan Furlong, The Intangible law firm, Law 21 Blog, July 11, 2016 – “Berwin Leighton Paisner [London, UK] is using AI-type solutions to carry out standard legal processes hundreds of times faster than traditional methods that use human labour … Mishcon de Reya [London, UK] new ten-year strategy includes a plan to drive the automation of everything that can be automated, whether its legal or process, including an internal laboratory to vet artificial intelligence initiatives in a bid to make the firm an ‘early adopter for new technologies … Gilbert & Tobin [Australia] has filed several patent applications to cover new computer applications it has built: rather than take 20 hours, some tasks can now be done in two hours”. Best practices in organizational governance. A law firm partnership is proprietary. Partners consider themselves first and foremost as proprietors of banks of clients and books of business. Their loyalty and commitment to the law firm is only as good as the law firm is able to sustain an environment for them that’s conducive to maximization of billings. Partners under invest in law firms. Their primary interest, often to the point of obsession, is to draw down the maximum allowable amount of income on the monthly basis that’s been apportioned to them by the firm Partnership represents a personal entitlement rather than a professional commitment to an organization. 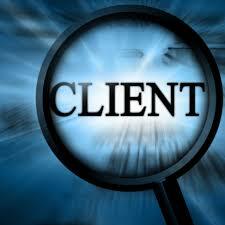 The law firm is just a shell like umbrella that is used to market their expertise and manage their client services. Law Firms in Transition Survey, conducted in 2015 revealed that 72.4 per cent of law firm leaders in the United States believe that the pace of change within the profession is increasing. However, 45 per cent of law firms surveyed cited partner resistance as one of the reasons for their firms not doing more to change their practices in order to compete. This was confirmed again in the 2016 survey. This is the “war that’s been raging within law firms”, the fight for control of the business between individual Partners and the law firm leadership, with the firm looking long term and the Partner level lawyer looking short term and with a ‘self-interest’. John Kelly, Partnership Impediment to Innovation in Law “The PIIL Factor” A Future Law Perspective, Linkedin.com May 19, 2015; Jordan Furlong, The lawyer vs. the law firm, CBA National Magazine, Fall 2016; Andrew Strickler, BigLaw’s New Bosses Will have Skills to Pay the Bills, Law360, February 19, 2013; David Perla, Democracy and Law Firm Leadership, Above the Law, July 26, 2016; Jeffrey Lowe, BigLaw 2016: A Look Ahead, Law360, January 12, 2016. Catherine Berney, Law is a people business, Linkedin, November 5, 2016; Law Firm Marketing Summit 2016, The Leadership role: how to lead creatively in a changing business context, Speaker: Catherine Berney, October 5, 2016. Sara Randazzo, Law Firms Demote Partners as Pressure Mounts over Profits, Wall Street Journal, October 10, 2016 (New York law firm Shearman & Sterling LLP demoting partners who don’t bill enough hours into nonequity tier in light of client pressure to keep down costs); Debra Cassens Weiss, Consultant sees ‘pervasive’ trimming of BigLaw equity partners, ABA Journal, October 12, 2016 (pervasive trimming of partners in nation’s top 100 law firms. 56% of law firms planned to de-equitize partners, and 67% planned to ask partners to leave). Joe Borstein, Alt.Legal: The Biglaw ‘Caste System’ – An Impediment to Innovation?, Above the Law, March 9, 2016; Jeffrey Lowe, BigLaw 2016: A Look Ahead, Law360, January 12, 2016 – “the non-partner track / staff attorney model is here to stay: project attorneys, staff attorneys, career associates, etc., can provide high-quality work at significantly lower cost”. Joe Borstein, Alt.Legal: The Biglaw ‘Caste System’ – An Impediment to Innovation?, Above the Law, March 9, 2016; Mary Juetten, The Future of Legal Tech: It’s Not as Scary as Lawyers Think, Forbes, February 19, 2015. Sally Kane, Top Ten Legal Skills – competitive and attractive legal skills for job seekers, The Balance, August 3, 2016; Beverley McLachlin, Legal Profession in the 21st Century: Remarks of the Right Honourable Beverley McLachlin, P.C. Chief Justice of Canada (2015 Canadian Bar Association Plenary), Supreme Court of Canada, August 14, 2015 – “The Canadian Bar Association recently conducted a case study of a project initially spearheaded by the international law firm Berwin Leighton Paisner. The project is called “Lawyers on Demand”, and consists of lawyers contracted out to law firms to provide assistance on a project-by-project basis. In-house counsel and law firms can bring in the legal help they need at the point where they most need it, without all the overhead costs. As for the lawyers on demand, in addition to being exposed to challenging and stimulating work, they benefit from flexible work arrangements. The Lawyers on Demand project has inspired others to develop similar models, in the UK and in Canada”. Reena SenGupta, Lawyers are finally converts to technology: firms are reaching a tipping point on digital as fear of the drive for efficiency recedes, Financial Times, October 5, 2016; Joe Borstein, Alt.Legal: The Biglaw ‘Caste System’ – An Impediment to Innovation?, Above the Law, March 9, 2016. Maria Jose Esteban and Professor David Wilkins, The re-emergence of the Big 4 in law, Thomson Reuters, April 27, 2016. Attack of the Bean Counters – Lawyers Beware: the accountants are coming after your business, The Economist, March 19, 2015 – Michael Roch (Kerma Partners) advises professional-services firms. Kristen Rasmussen, Can In-House Counsel Be Trusted with High-Stakes Litigation? Macy’s Thinks So, Corporate Counsel, November 8, 2016; Richard P. Campbell, Welcoming Insurance Staff Counsel, Tort Trial and Insurance Practice, American Bar Association, Fall 2001 (“the practice of law by staff counsel has thrived for nearly a century … the late Jim Casey, chief attorney in Liberty Mutual’s staff counsel operation, was one of the giants of the Boston trial bar … virtually every major property and casualty insurance company has long had a staff counsel program. More than 8,000 lawyers nationwide currently practice insurance defence law within the structure of a staff counsel program”); Mallen and Smith, Legal Malpractice (4th ed): Chapter 28, “staff or house counsel”; R. Jeffrey Kelsey, Building an In-House Trial Team (Federal Express), Federation.org (“Jeff Kelsey is a Managing Director in the Litigation section of the Federal Express Corporation Legal Department. FedEx handles the majority of its employment and commercial litigation using in house attorneys who act as lead trial counsel for the Company”). Joan Williams, Aaron Platt, Jessica Lee, Disruptive Innovation: New Models of Legal Practice, 2015. [http://worklifelaw.org/wp-content/uploads/2015/09/Disruptive-Innovations-New-Models-of-Legal-Practice-webNEW.pdf]; Kristen Rasmussen, Can In-House Counsel Be Trusted with High-Stakes Litigation? Macy’s Thinks So, Corporate Counsel, November 8, 2016; Anthony Hilton, Why their profession’s failures mean lawyers don’t win top city jobs, Evening Standard, UK, September 22, 2016 (“allowed some of their best brains to move in-house as general counsel in the biggest companies, taking he most interesting legal advisory work with them”); Richard P. Campbell, Welcoming Insurance Staff Counsel, Tort Trial and Insurance Practice, American Bar Association, Fall 2001; Mallen and Smith, Legal Malpractice (4th ed): Chapter 28, “staff or house counsel”; R. Jeffrey Kelsey, Building an In-House Trial Team (Federal Express), Federation.org. Richard Susskind, Tomorrow’s Lawyers: An Introduction to Your Future, 2013. Yves Faguy, Q&A – Christine Duhaime: Fintech meets law, CBA National Magazine, Fall 2016, Volume 25 No. 3. – Christine Duhaime, Digital Finance Institute (think tank for financial technology, law and policy, and Canadian lawyer specializing in financial crime and anti-money laundering). Roland Vogl, The Coming of Age of Legal Technology, Stanford Law School (law.stanford.edu), September 26, 2016. Kenneth Grady, Extending Jordan Furlong’s Metaphor Another Play, SeytLines, November 3, 2016.